The CENTURI summer school is aimed at students from Master of Science and engineering schools with backgrounds in physics, mathematics and computational sciences who are interested in applying their skills towards problems in biology. 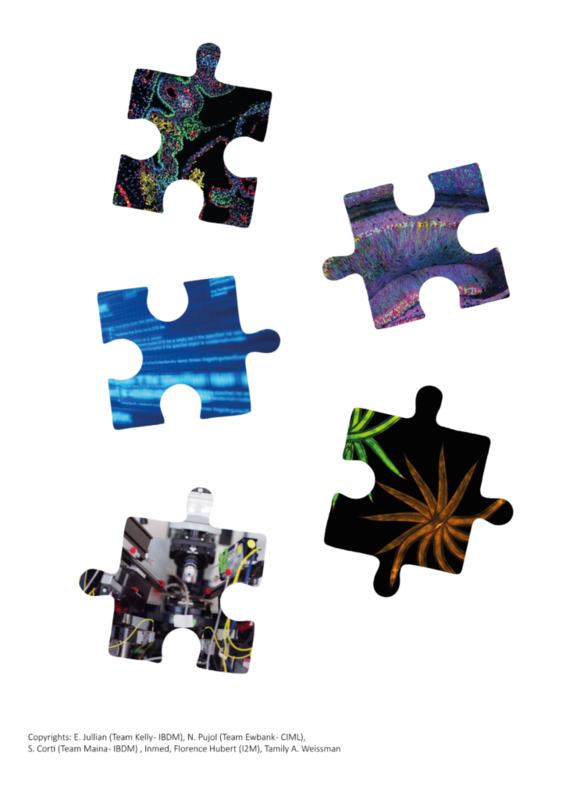 The summer school, entitled “From data to biology and back”, will introduce major open questions in systems biology. It will address those questions through the use of state-of–the-art techniques for analyzing and modelling data sets, via hands-on projects. What is an interdisciplinary research project? Enrolled participants will work in small groups (3-4 people) on concrete biological data analysis projects (proposed by lab heads) during the afternoons of the summer school. Each group will be advised by a mentor, who will guide and support students to solve the projects' biological questions, using biological data analysis. The type of data will vary depending on projects. At the end of the summer school, participants will present their project to instructors and fellow participants. How do collective neuronal dynamics relate to function? Most brain functions are supported by the activity of neuronal ensembles distributed across brain regions. Understanding the structure of these representations, how they are learned, and how they lead to behavior is one of the main challenges facing neuroscientists. In the recent years, technology, in particular imaging, high throughput electrophysiology and transcriptomics, have revolutionized our way to analyze structure and function in the brain and how it relates to behavior. Neuroscience is flooded by a deluge of complex data describing a system that is, itself, already complex. Never has the need been greater for theoretical models and data analysis. Future progress requires developing the ability to extract meaningful knowledge from these data through analyses and modeling. What is a neuronal cell-type? How do B lymphocytes progress through multiple functional states to gain the ability to produce high affinity antibodies? Antibodies are lifesaving biomolecules – major effectors of vaccines efficacy and popular therapeutics for cancer treatment. In natural immunity, highly potent antibodies are produced by the descendants of a single antigen-specific B cell after a process of cellular and molecular maturation. In the aim of designing new therapies for challenging infections and cancers, understanding the distinct steps of B lymphocyte maturation is a major focus of immunology research. Novel analytical methods enable the parallel analysis of antibody gene sequences and genome-wide gene expression in hundreds to thousands of single B cells, opening new avenues to dissect the mechanisms of B cell maturation. Integrating and analyzing the massive amount of data produced in those experiments will be an exciting challenge in the coming years. Fluorescence-activated Cell Sorting (FACS), single-cell RNA sequencing, sequence alignment and mapping on genome, sequence reconstruction from short read RNAseq, dimensionality reduction and clustering, pseudotime analysis, cell – cell interaction networks, gene – gene interaction networks. How to image living cells and tissues in 3D, with sub-cellular resolution? Many systems in biology involve an assembly of cells that are arranged spatially and the interaction between these cells to achieve a variety of functions. Therefore modern imaging tools need to address both the architecture and the function of biological systems. This optical imaging module will concentrate on multiphoton imaging techniques that are able to image a variety of fluorophores but also endogenous molecular structure and chemical bonds such as collagen, and lipids. Interestingly these techniques use ultra-short laser pulses whose interaction with biological media are localized in space such that 3D resolution is possible. The module will concentrate on multiphoton imaging techniques (2photon, harmonic generations and coherent Raman) from concepts to technical implementations and applications in the field of neurosciences, immunology and development biology. Hands-on of running setup will be organized. 2photon, harmonic generations (SHG, THG) and coherent Raman (CARS, SRS) images coming from cell and tissues imaging. How tos image the content of living cells and tissues slices without any labels? Neuronal development relies on both a predetermined genetic program and sensory informations from the external environment. What are the mechanisms that link these 2 modalities and how do they interact to control morphology, survival and ultimately function of developing neurons? Neuronal development is controlled by intricate interactions between a genetic program and informations from sensory environment. What are the rules and the mechanism controlling the interaction of these two modalities is not clear. The rodent olfactory system represents a powerful model to approach these questions. It allows us to use genetic manipulations in combination with chronic in vivo imaging and olfactory behavioral paradigm to obtain unprecedented new sets of complex data on neuronal development. Statistical analysis and computational modeling are required to fully understand these results and to establish new hypothesis and predictions on the complex mechanisms that control neuronal development. The Summer School will welcome 25 students. Housing will be provided to non-local attendees. Applicants should have some experience using Matlab and Python. Each student should bring a laptop. The CENTURI Summer School is also coupled with the CENTURI internship program. This programme offers funded internships of 3 to 6 months in research laboratories. CENTURI internship program is the opportunity for engineering students to apply their skills in maths, physics and computer science to biological questions.